Cancer has been one of the leading reasons for deaths worldwide and blood cancer is a widely prevalent type of cancer. 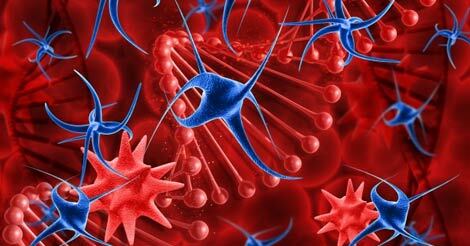 Most of the functions and productions of blood cells are affected by blood cancer. It is seen that most of the cancers begin from the place where blood is produced i.e. bone marrow. In this case, the process of development of normal blood cells is disrupted by the growth of an abnormal type of cell. These cancerous blood cells stop your blood from performing their primary functions like preventing blood loss, fighting against infections, etc. Blood cancer is usually diagnosed in older people who are above 70 years of age. Leukaemia is most commonly found in small children. Lymphoma is commonly found in the people who fall in the age group of 16 to 24 years. About 31% of males suffer from leukaemia as compared to females. Note that blood cancer prognosis is dependent on different factors like age, how severe it is, and at which stage it has been diagnosed. However, the specific risk factors of blood cancer malignancy are still unidentified. Cancer prevention is a key in controlling the risk of cancer. Regular screening of cancer can assist in identifying this life-threatening condition in its initial phase. This can facilitate its complete cure by timely removal of precancerous growth. These tests surely help in blood cancer detection. Having dietary and lifestyle changes during this period is important to ensure faster recovery. Behavioral risk factors like usage of alcohol and tobacco, obesity, not being physically active and less intake of a healthy diet can result in up to 30% of cancer deaths. A healthy diet for sure will help you to remain strong and fit during your treatments also. One should not overlook the threat of cancer and full body checkup packages help to overcome the threat. A routine health checkup proves to be a stitch in time, which saves nine. If you wish to have one, contact us by filling up the inquiry form. Your life is precious; never ignore the signs your body is showing and risk your life. A prompt action and expert care takes care of your life and health.